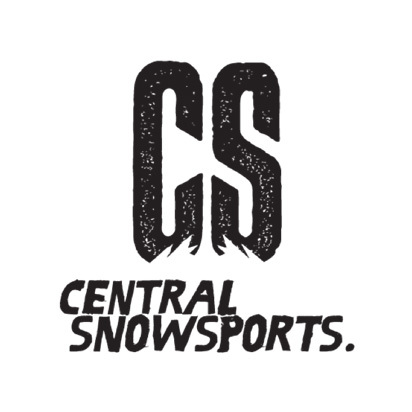 Central Snow Sports, conveniently located at the base of the Happo Apartments complex, makes organising rental gear that much easier. Not only do they offer the largest and widest range of demo skis & snowboards in Hakuba Village, they are also some of the friendliest people on the mountain. If you feel like skipping the queues and paperwork, you can rent your gear ahead of time here. We will have the gear waiting for you in our heated dry room, ready for first chair the following morning. You can buy temporary travel SIMs at both Narita Airport and Haneda Airport from the vending machines located outside customs clearance. Most SIM cards are data only and last 7-15 days, starting from around ¥3,500. Some machines only accept cash while some only credit card. Items might be sold out. Those prepaid SIM cards are all DATA ONLY SIM cards. If you need a voice SIM, you need to buy it the sellers in the airport during their opening hours. They will not issue any refund even if your phone was not compatible with the SIM card or if you mistakenly purchased a wrong size. We highly recommend buying travel insurance before you come to Japan. Be sure to get a policy that covers not only medical care, but also lost luggage, cancellation coverage, and lost, stolen or damaged gear or luggage (although theft in Japan is extremely rare, it does occasionally happen). Make sure the plan you intend to purchase does not exclude coverage for accidents incurred while skiing or snowboarding. This potentially could be an add-on to your travel insurance policy. We don’t want to let injury, lost equipment or other travel mishaps ruin your winter holiday. The Japan Rail Pass (also commonly called JR Pass) is the most economical means for travel throughout Japan by the railway system. These passes are only offered to foreign tourists, under the entry status of “temporary visitor”, as one of Japan’s many ways to boost their tourism industry. There are two types of JR Passes: Green (for superior-class Green Cars), and Ordinary. Each of these types are available as a 7-day, a 14-day, or a 21-day pass. An International Driver’s Permit is not a license; you must also hold a valid license from your home country. If you are planning on renting a vehicle in Japan, you will not be able to do so unless you have a valid International Driver’s Permit in conjunction with your driver’s license. Persons found driving in Japan without a legal license are subject to fines, arrest and possible deportation. You cannot obtain an International Driving Permit at your local embassy in Japan, you need to arrange one in your home country prior to your travels. There is a luggage transport company called Yamanato Transport Co. (recognisable by their logo of a Black Cat inside a yellow circle) and they have service desks at both Narita and Haneda airports. For less than ¥3,000 in most cases, you can have your luggage or your ski/board gear sent ahead of you to the hotel if you want to spend a few days in Tokyo, or if you don’t want to drag it through the chaos of multiple train transfers. We highly recommend this option to everyone, even guests.